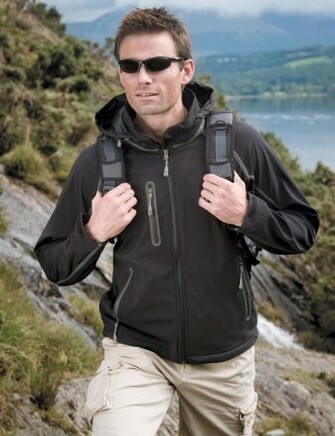 Royale Leisurewear are proud to offer you a selection of softshell jackets to suit your budget. For high quality at affordable prices, contact Dorothy or Kevin today on 01773-550614. 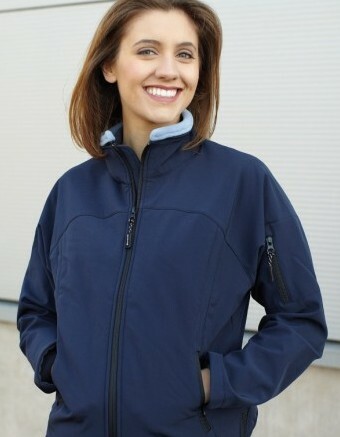 Softshell jackets are the perfect alternative to fleece jackets. Softshell jackets are pleasant to wear, more breathable than a waterproof, and more water and wind resistant than a fleece. Embroidered softshell jackets available from Royale Leisurewear look professional and smart. Regardless of the type of soft shell, you can be sure all are more water-resistant than fleeces, and most are more breathable than waterproof hard shells. Soft shells are usually highly wind-resistant, and generally warmer than waterproof hard shells as they often have some form of air-trapping weave to provide insulation, but they are not as warm as fleece. In short, they fill the gap between fleeces and waterproofs. Sizes for Royale Leisurewear’s high quality and stylish softshell jackets. 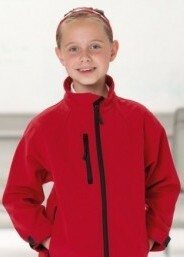 Children’s softshell jackets – Sizes available: age 3-4 years, 5-6 years, 7-8 years, 9-10 years, 11-12 years. Adults softshell jackets – Sizes available: XS, S, M, L, XL, 2XL, 3XL, 4XL. Ladies softshell fitted styles are available up to size 2XL. Choice of styles may be limited for larger sizes, please ask about our softshell jackets and our experienced staff will be happy to help.